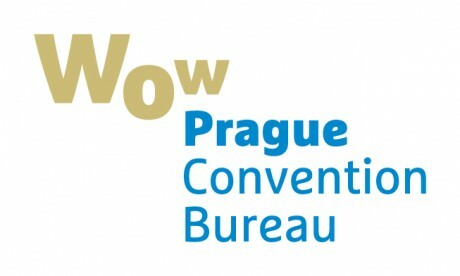 Culturebrand congratulates the City of Prague and the Team from the Prague Convention Bureau to a very professional Presentation of the new Destination Slogan and Branding for Prague: “WOW PRAGUE”. 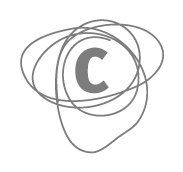 Culturebrand Live Communication has a long experience with Events and Incentives in the wonderful Prague with great local Contacts to Hotels, Locations, and excellent Suppliers. Organizations representing the city of Prague in the field of tourism, Prague Convention Bureau and Prague Information Service – Prague City Tourism, agreed to use a unified visual style of the destination. Both organizations have recently established a close cooperation for unifying the new branding presentation of Prague in its promotion, thus strengthening its position as a tourist and congress destination in the international field. The new visual style of the tourist destination Prague is built on emotions, feelings and experiences of visitors. Clear, positive and internationally comprehensible solution is complemented by a promotional slogan „Pure emotion“. It is the City, where Franz Kafka wrote his Novels. Prague is rich in architectonic monuments, cultural heritage and historical sights, but at the same time it is modern and dynamic. The city offers many Options: Meeting in one of monumental historical Palaces as well as comfortable contemporary Venues. You can have a pint in traditional Czech breweries or enjoy Haute Cuisine in Michelin starred restaurants. The new Prague Visuals have been complemented with another tool to promote congress Prague – the new Destination Video focused on the MICE segment called „Prague Makes You Shine“. The aim of the video is to show Prague as a dynamic Destination ideal for organizing Events of different Types. It focuses on the city’s strengths, such as good accessibility, a wide range of accommodation and conference facilities, excellent infrastructure, a long congressional history or academic background. Let Prague inspire you, just like in the past it inspired many significant artists and scientists. The city’s mysterious atmosphere reflects in the works of Prague’s native son Franz Kafka. Wolfgang Amadeus Mozart, whose “people of Prague understood”, completed and first performed his best opera Don Giovanni here. Prague also became an important University Centre which gave the World a number of Personalities without whose discoveries and inventions we could hardly imagine our today’s life. Prague is never „off season”. 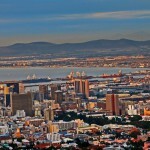 It is inherently linked with excellent Operas, Concerts, Theatre and Ballet Performances. Every year Prague hosts renowned gathering of world’s best classical music players Prague Spring, a number of international film festivals and Prague International Jazz Festival. Prague has always been a crossroad of the most important trading routes, as well as cultural and political centre of Europe. One of its major landmarks, Charles Bridge, symbolizes the historical connection between East & West that made Prague the place where elements of Slavic, German, French and Jewish cultures merged to create a picturesque Cty with unique Atmosphere, Romance and Magic. Prague offers a good Value for Money with a world-class services. Prague is famous for great Hospitality and excellent Infrastructure with very creative local Suppliers. The Hotels in Prague can accommodate more than 90.000 persons in more than 42,000 rooms. The Prague Congress Centre can host Conventions, Conferences, Meetings up to 9.000 Particpants with one of the best and romantic views in the world. Prague is an ideal and unique destination for international meetings, incentives and individual travelling. What about Prague as your next Event Destination? The Culturebrand Team has a long Experience in the wonderful and romantic Prague with best local Contacts for amazing Experiences.